Cosmic Toys (http://cosmictoys.ca) has only been operational for about 7 months. However, in this short period we have already cultivated an amazing and dedicated base of loyal, toy buying customers. 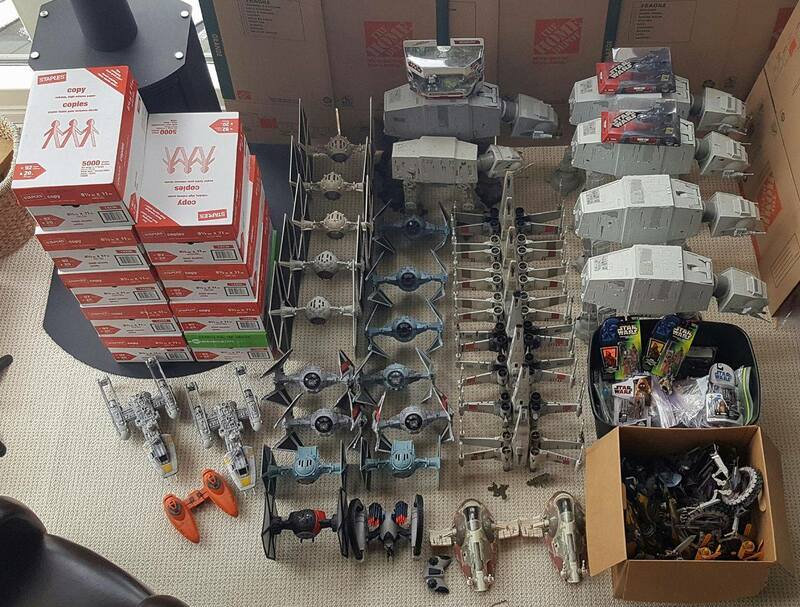 Lately we have been acquiring some big (and I mean BIG) toy lots. We like to send out the pictures to our social media channels and mailing list in advance to build excitement. This works well for Cosmic, as we get many customers asking to pre-buy the new items before they hit the website which helps us to sell through the stock quickly. However, we are concerned that this may produce a "FeelsBadMan" emotion for other customers who may be refreshing the site furiously to buy a specific item, only to later find out that it has been previously purchased and will not be making it to the website. Our solution is the Cosmic Patreon Program or CPP (not to be confused with Canada Pension Program). If you love toys and want to commit to a monthly payment you (along with other Patreons) will get first crack at the items in new incoming toy lots. We believe the tier levels are thoughtfully considered. For regular customers, it's pretty much like paying nothing at all as many of you easily spend $20 to $50 a month anyway and these tiers will reward you with Cosmic Points that are just like money! Thank you very much for your consideration. All of the money raised via Patreon will go directly into acquiring new inventory. Everybody wins! There is no minimum term or anything like that. Feel free to cancel at any time. For less than the cost of one overpriced coffee per month, you'll become an official Cosmic Patreon. You will have the opportunity to pre-buy new, incoming toy stock before they hit the site! In addition to the rewards of previous tier, you will get 2000 ($20 CAD) in Cosmic Points each month. These points will be valid for 30 days (so they must be spent during the month they are awarded). If you are a regular customer, this basically costs you nothing! You are the few, the proud.. the Cosmic Patreon Elite. At this level you will get 5000 points ($50 CAD) each month that can be spent on the site at any time. These points can be carried over indefinitely as they have no expiry. In addition, to being able to pre-buy toys before they hit the site, you can also send us your complete toy wishlist. Your wishlist will get checked against all new inventory acquisitions and you will have the opportunity to get those items before the other tiers! In addition, we will be actively trying to find the products on your wishlist. As this is all very much an experiment, $100 a month seems like a reasonable first goal. By reaching this level, it will at least demonstrate that there is some interest in the program. I will continue to work hard on bringing new exciting rewards to my faithful Patreons! We will award 1000 Cosmic points ($10) per month to one randomly selected Cosmic Patreon each month.